. 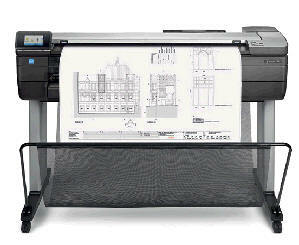 Sales of HP Designjet Plotters Northern Ireland.
. Affordable monthly leasing options.
. Prices include delivery, paper, cables, assembly and network install.
. Northern Ireland onsite service backup inc. spare parts and qualified engineers. 280 Comber Road, Lisburn, Northern Ireland. 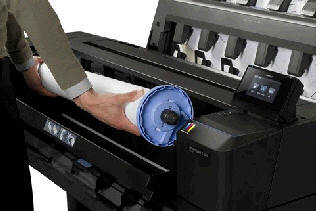 21 sec per A1 print or 120 A1 size prints per hour. Print resolution is 2400 x 1200. 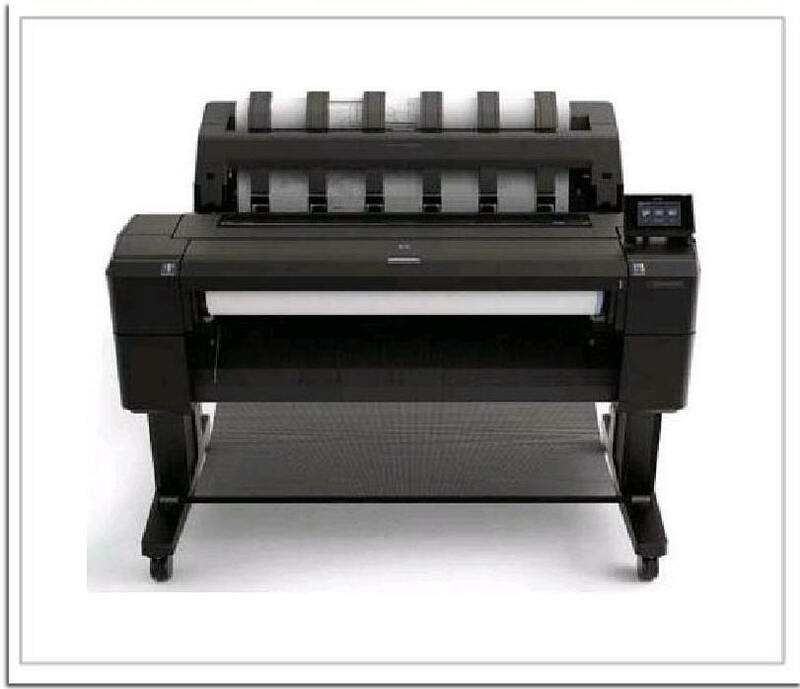 Standard HP T930 A0 Plotter comes with paper roll, printhead, ink cartridges, stacking tray, floor stand, basket, spindle, reference guide, power cable, software drivers for recent Mac and Windows. 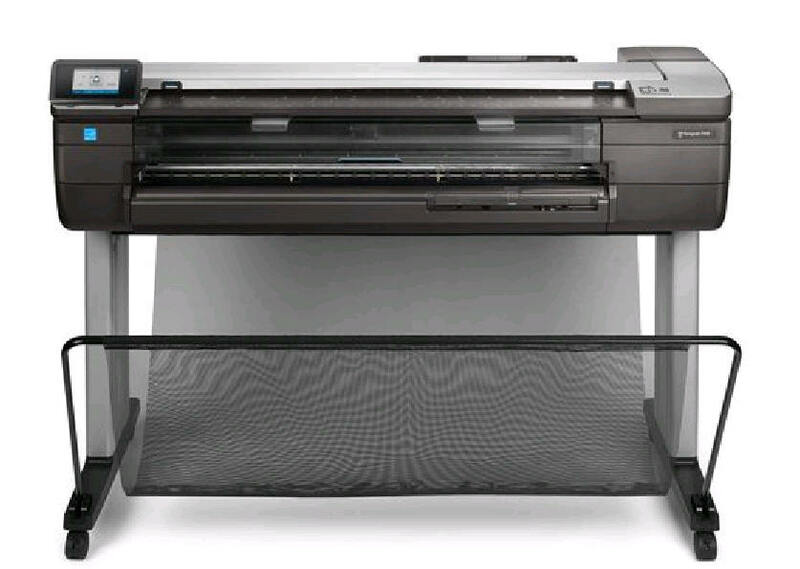 The HP Designjet T930 36-inch A0 CAD Plotter is a new design, Web Connected wide format Printer with breakthrough usability. With the HP DesignJet T930 Plotter you get an improved printing experience – this is a front loading plotter with an output stacking tray which helps organise and protect your prints and delivers professional results. 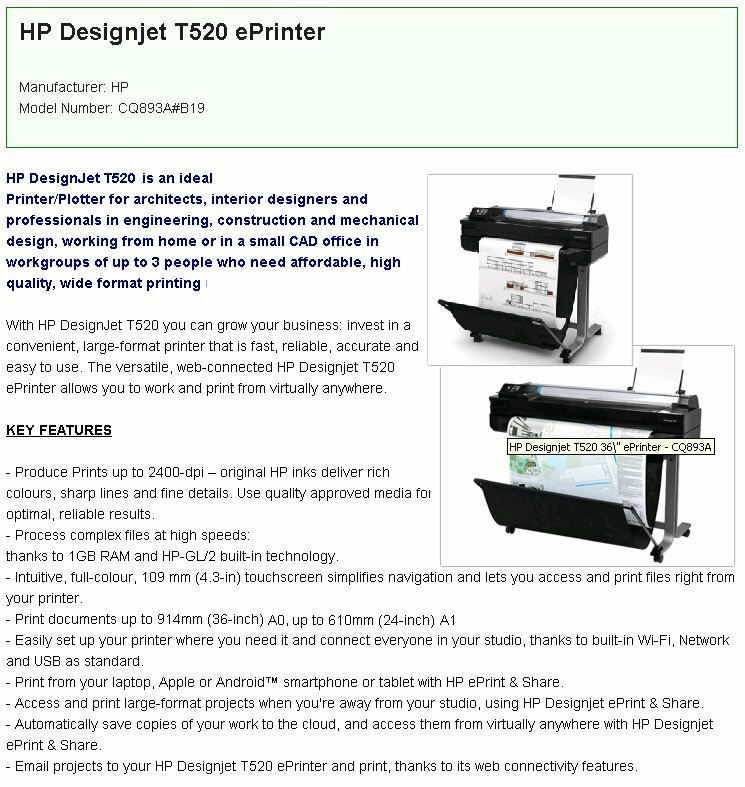 Access and print projects while out of the office, with HP Designjet ePrint & Share - using Apple or Android devices. Print both A0 and A1 on the same 36 inch roll using “drawing rotate” option in print driver. Six Original HP inks produce a wide colour gamut ideal for colour graphics, but significantly original HP Gray and Photo Black inks achieve precise line accuracy, dark blacks, and true neutral greys making the T930 T1530 and T2530 ideal for printing wide-format construction drawings and keeping Black and White output cost low. Stay organized and on task—the integrated 50-page output stacking tray delivers flat, collated prints. At a print speed of up to 120 A1 prints per minute you can get right back to work—see A1 size prints delivered in 21 seconds. Print efficiently—parallel file processing with 320 GB hard disk; manage queues, track costs, take control. 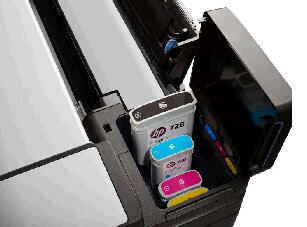 Save time—print directly to your printer from a smart phone, tablet, or USB drive with HP Mobile Printing. Print without interruption— A 91meter long media roll and Original HP ink cartridges of up to 300 ml allow for longer printing volumes before replenshing of supplies. the roll is easilly replenished from the front of the machine. Safeguard information with security protocols like IPSec, 802.1x, SNMPv3, PIN printing, and other options whilst easily configuring your printer from the comfort of your desk with HP Embedded Web Server. Integrates easily with your other office devices—iOS and Android compatibility with HP Mobile Printing. 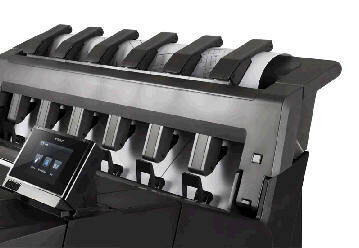 This mfp brings a New benchmark in multi-functional wide-format printing and scanning. This A0 / A1 full colour plotter is ideal for smaller workgroups whom require the functionality of a production machine but without having the volume needs of a larger work group. The HP Designjet T830 features a slimline Scanner to provide scanning to file and for direct copying, simply slide your original in to the scanner to produce a copy and state the number of copies required. You can easily scan to a network destination. Ideal if you only want to print B+W or just the odd colour line drawing, but if you need full colour renders then you have a high capacity option. 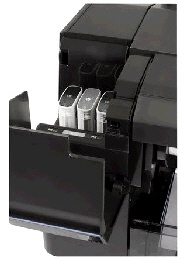 Although primarily a service company, we do of course supply new HP Designjet plotters. We are an accredited HP partner with 20 years experience servicing plotters here in Northern Ireland, unlike internet sellers who have no local service presence. We’ve invested in training for these machines and hold a full stock of spares, online retailers have no service provision and zero stocks of parts. The internet sellers will take payment up front, deliver a pallet to your door and thats it. If you run into problems during say, network installation, good luck trying to get them to help you. We provide installation plus a well trained, well equipped service section with the ability to be on your doorstep when needed - you don’t want to be sent round the worlds call centres when you need help. We will keep your plotter regularly serviced and running for a minimum of 8 years as opposed to 3 year "fingers crossed" extended warranties offered by the online sellers. 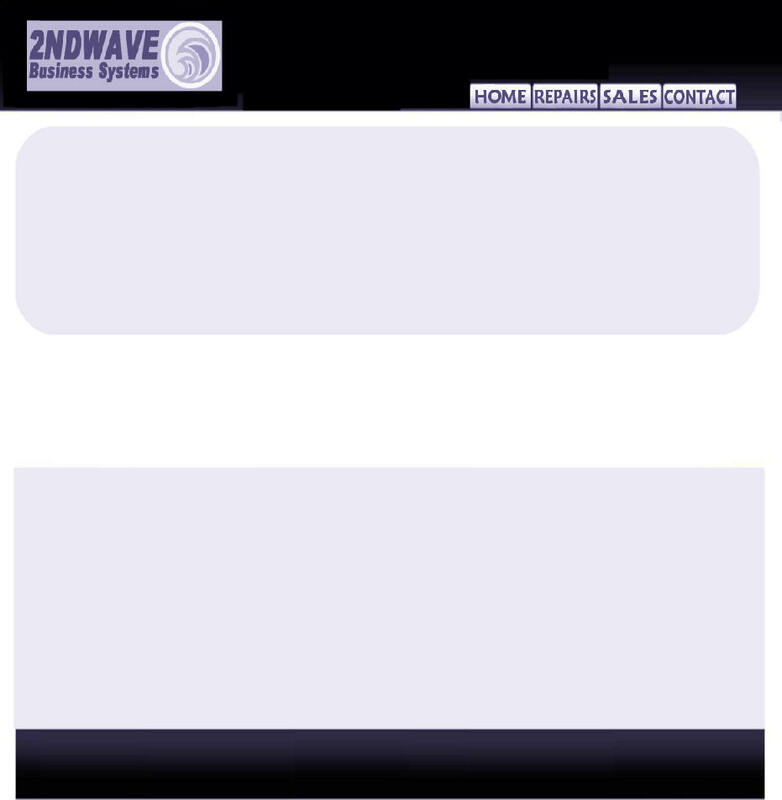 At the end a typical 3 year warranty, without ever having had a single service visit, the machine will be completely gummed up with ink sludge and the seller will only want to offer you a new machine. Training, preventative maintenance, spare parts, plus the ability to be onsite when required requires a significant financial investment on our part so please dont expect us to match the prices of online dealers who dont offer any credible backup. Our guarantee of prompt service, trained and experienced engineers, long product lifetime and uninterrupted use of the machine easily offsets any difference in price between ourselves and the internet retailers.